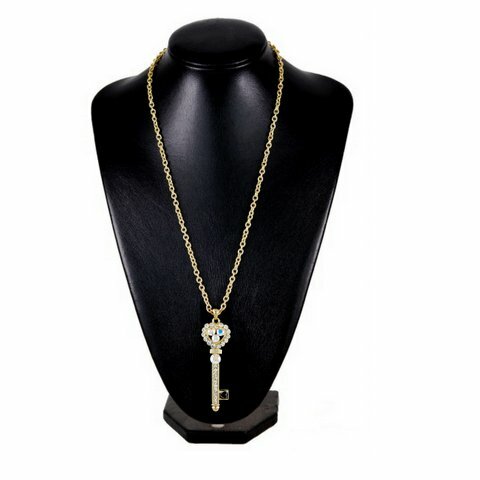 This beautiful heart key pendant suspends 3" in length on a 24" thick goldtone link chain. The key is embellished with aurora borealis crystals with clear accents. The weight of this necklace give is a rich feel.